We have the largest selection of accessories anywhere. Tires and wheels, hitches, racking, lights, truck caps, power sports products, suspension systems, work truck accessories and adventure products – you name it, we carry it. The most innovative products, the best brands, the best value and the best advice. We install everything we sell. Fast. So you can be out adventuring as soon as possible. Skilled, friendly service by certified professionals. Not only by the industry, but more importantly by us. Every Cap-it employee undergoes rigorous hands-on training and attends regular workshops to keep updated on the latest techniques and innovations. Some companies lead their industries. We created ours. The seed of a family vision was planted in 1977 by Hank Funk and it began to grow from their recreational products store in Abbotsford, BC. Over the years to follow, a new industry was created where none existed before. Out of a family passion for outdoor adventure and Hank’s foresight to see an under serviced, emerging market, a new retail concept was born: Cap-it Genuine Truckware. The “vision” was right on for timing, as the pick-up truck became the vehicle of choice for over 50% of North American new car buyers, a trend that continues to this day. By 1990 the Cap-it brand was totally focused on the aftermarket industry and began to expand across BC with franchise partners joining the team. Expansion to Alberta and Saskatchewan followed with strong franchise growth. And today? Cap-it has stores open from Victoria, BC to Mount Pearl, Newfoundland and our plans to extend the Cap-it franchise network into the United States continued in 2016 with the opening of our American headquarters in Irving, Texas. 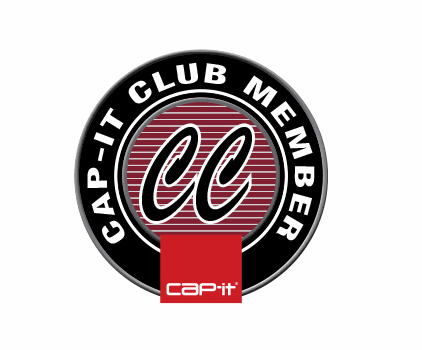 Cap-it is poised to expand across North America, building our brand one satisfied customer at a time. The Cap-it story began in 1977 with the opening of the first store located in Abbotsford, BC manufacturing Truck Caps and selling RV supplies. Retailing has always been a joy for founder Hank Funk and in 1980 the company brought in additional products for their customers such as Truck Accessories and Camping Equipment. By 1987 Funk had opened four stores and added many more products such as billiard tables, trampolines, Spas and even Ultralight Aircraft. Funk says those were wonderful and exciting years. The dream of opening more stores was always in Funk’s mind and in 1990 the dream became a reality. In an effort to streamline the business and keep efficiencies and profits a priority, Funk sold the two recreation stores and kept the remaining two truck accessory stores. Always striving to be the best, he wanted to take the truck accessory business more seriously than anyone else. Building upscale accessory stores and offering great service was the priority. Evolving the brand and adapting to the demands of the customer and the changing times, helped make Cap-it the first and largest truck accessory franchise in Canada. Along with a new updated Logo, new colors and images were chosen to represent the Cap-it culture. The words “Because Life’s an Adventure™” were carefully chosen to represent Cap-it’s new direction. They wanted the customer to experience the adventure that a truck can bring. As a well-known Canadian artist, Funk was able to bring his artistic skills into store design and layout. Sons, Andrew and Mason, President and Vice President, together with Executive VP Sean McGrath now run the day to day operations while Hank Funk remains CEO. The decision to expand store support and distribution capacity was made to facilitate the opening of more stores across Canada. With further diversification to capitalize on new trends, Cap-it expanded the Adventure department offering a complete package, outfitting customers vehicles for adventure and camping. Now opening franchise stores in Dallas Fort Worth (DFW) under the Trade Name “Cap-it® America’s Truck Accessory Stores™”Leer® truck caps, a member of The Truck Accessories Group (TAG) has partnered with the Cap-it® Franchise to open exclusive Cap-it / Leer truck accessory stores in Dallas Fort Worth. 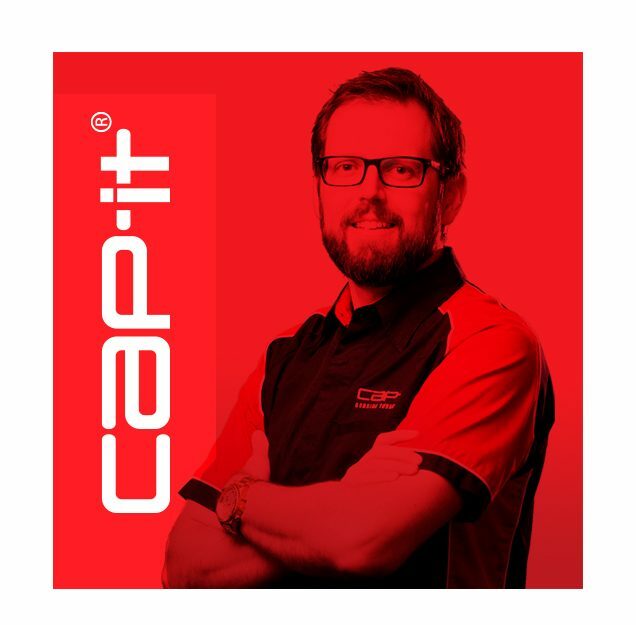 Andrew Funk, Cap-it president says, “Whether you’re an auto dealership, an existing truck cap store or an individual that wants to operate your own business, you’ll find Cap-it fun, profitable and an exciting opportunity to dominate in your town”. Making history and truly becoming an international company with 30 stores and growing. Sons, Mason and Andrew Funk, President and Vice President, together with Executive VP Sean McGrath now run the day to day operations while Hank Funk remains CEO. Funk says, “Cap-it has always survived by its creativity”, and now for 2018, Cap-it is taking its new proven concept to Dallas Texas. Many changes and improvements can be seen. With the introduction of a new category, camping, plus the new interior and exterior design, Cap-it has once again taken it to another level. Attention to detail, design and operations has given the company the upscale appeal customers are looking for in today’s marketplace. From the early days of manufacturing the goal remains the same, give the customer a great experience when shopping. “We want to keep a customer for life” says Hank Funk. One of the keys to our success is how far we go to make sure our customers are happy. Price, service, product performance – if you’re not happy with anything at all, let us know. We’ll make it right. We source and warehouse the best products from across North America and beyond. Our massive buying power allows us to offer competitive pricing on the industry’s highest quality products. Ask about our special commercial volume discounts for dealerships and fleet operators. 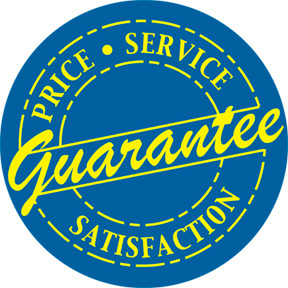 Even our guarantees are guaranteed. Over and above the manufacturer’s warranty, we provide an additional two year warranty on all Genuine Truckware™ truck caps we install.